2016 marks another tremendous year for Creations for Charity as we were able to donate Lego in 9 locations over the world. 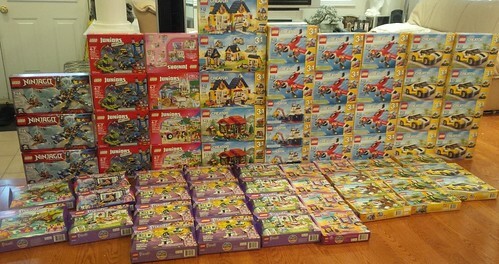 With the help of the Lego fan community, we sold over 100 custom creations raised $13,877 and purchased numerous Lego sets for underprivileged children. When I see photos of the Lego donations each year knowing that many children will be happier during the holidays, I consider it one of the greatest gifts I receive. It is my motivation to organize the fundraiser year after year. This holiday season has been busy for many of us, and I am always grateful for everyone involved including the donors who spend time crafting unique creations for the store, the buyers who support us through their purchases and our coordinators who purchase Lego sets and donate them to the kids. When I organized the first Creations for Charity fundraiser in 2009, I was a college senior with plenty of spare time. Now my free time is scarce as I go through training as a resident physician in neurology. Between taking 28-hour calls and working through both Thanksgiving and Christmas, I relied heavily on our coordinators this year to manage as much of the fundraiser as they can, and they delivered beautiful results. I couldn’t have asked for a better present this year than seeing all the donation photos on Christmas Day. We also reached an important milestone this year when we became a 501(c)(3) nonprofit organization just this month (Employer ID Number 81-3162510). This means that our future purchases will be exempt from income tax in the US and our US donors will also be able to make tax-deductible contributions to our charity. With these privileges we look forward to acquiring even more Lego sets for future donations! 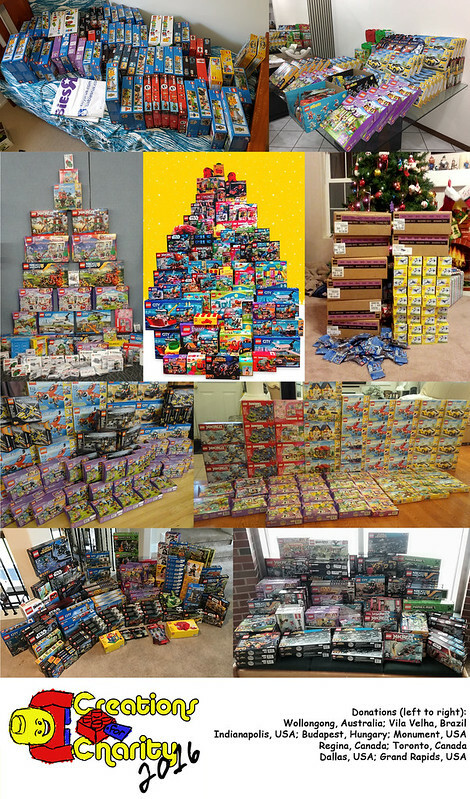 Over the years Creations for Charity has become the Lego fan community’s annual tradition of giving back during the holiday season. It is a tradition that is too good to stop. Going forward, I plan to continue the fundraiser and expand to new areas of distribution. We welcome suggestions for improvement and hearing from individuals interested in offering their help or expertise. Happy holidays everyone and I hope you’ll join us (again) in 2017! I would like to say thank you to everyone who has contributed in some way to Creations for Charity, the support of all of you is very important. Thank you so much! This year my personal goal was to serve an institution with more than 100 children, and this was possible because of the support of the entire community around the world. I chose the May 23 Project, which was created in 2009 to help children including youths and adolescents in the neighborhood on Red Earth. The initial idea of ​​the project was to provide food and shelter for the needy children in the nearby neighborhoods. Over the years, activities have been incorporated to take the children out of the streets to prevent them from entering the world of crime and drugs. Today, the project has Portuguese, English, dance, martial arts, painting and soccer classes. The project is all maintained by volunteers. As usual I involved several other friends who, besides helping me in this project, also donated clothes and food to those children who so badly need our support. It was a wonderful party and of course we all sat on the floor with the children and went to do what we know best, play with this wonderful toy called Lego that gives us moments like this of so much joy. It’s that time of year again! I would like to start off by saying a big THANK YOU to everyone who participated in the 2016 Creations for Charity fund raiser. You all did an amazing job and we had yet another successful year! This was also the last year of the triptic brick, which was designed WAY back in early 2014, and the picture is now complete! I have no idea what the new thank you gifts will be designed/available for next year, but I will be putting my thinking cap shortly! If you have any ideas for any “thank you” items you would like to see I would love to hear your ideas! In addition to keeping my eyes peeled for 50% off sales throughout the year I also worked with Jack at Chowren Toys to complete my shopping list. Thank you Jack for all of your help and for working with me so I could maximize my purchasing power. 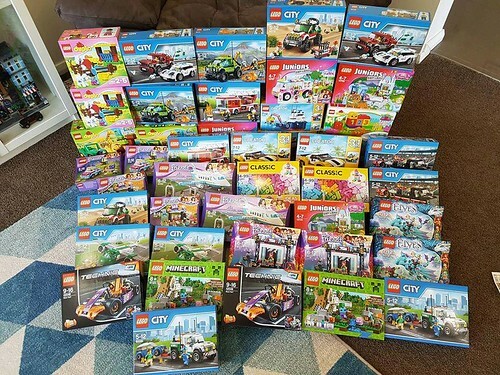 I was allocated $1200 in funds this year and was able to purchase 221 boxed sets and 100 minifigure poly bags for a total of 321 LEGO items. All of these items were donated to Toys for Tots and will be distributed to children in El Paso County, Colorado. This year’s Creations for Charity 24-hour Live Stream hosted by Beyond the Brick was a great success! Thanks to generous contributions from The LEGO Group, Brickmania and Brick Loot, as well as live stream viewers, we were able to donate $4,000 worth of LEGO sets to Franciscan Health hospitals in Indiana. The toys will go to hospitalized kids in need in Indianapolis. Special thanks to Nannan for his work on Creations for Charity each year. If you missed any part of the 24-hour LEGO broadcast, click here to watch. A very sincere thank you to everyone who contributed again this year! And for those who contributed for the first time, a very special thank-you and warm welcome to the family! Spreading LEGO-cheer at Christmas and beyond is such a privilege, and this year’s donations in the Dallas-Fort Worth, Texas area is extra special to me. 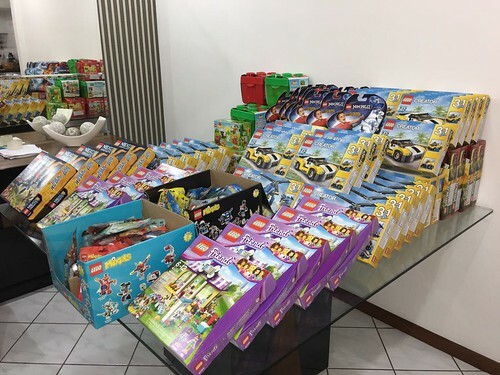 120 brand new LEGO sets valued at over $2,000 USD were donated to Arrow Child & Family Ministries, a 501(c)3 non-profit child placement organization. The services and programs of Arrow Child & Family Ministries impact over 4,000 children, teens and families each year. Since 1992, Arrow has been fighting the effects of child abuse by helping kids heal from the past, and strengthen families to break the cycle of abuse and neglect. In November 2016, 75 abused and neglected children were placed into foster homes licensed by Arrow. Many of those placements were emergency placements meaning that the children had been removed from an abusive or neglectful situation by Child Protective Services, and needed a healthy family to be placed with while either reconciliation with their parent or parents, or adoptive placement was found. Many of these kids have nothing but the clothes on their backs when they enter their foster home. 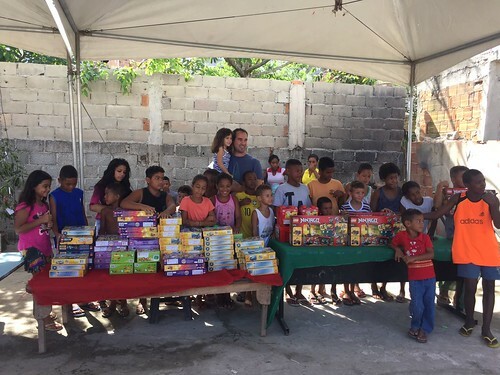 These children will now be able to take a new LEGO set or two with them to give them something to take their minds off of what’s going on with their family, and have some pride and joy in building something. Thank you again for your support of Creations for Charity, and I hope you have a Merry Christmas, Hanukkah, Kwanzaa, Boxing Day, 3 Kings Day, and a very Happy New Year! First of all I would like to thank to Nannan who helped us so much this year again, and the organization for the opportunity. 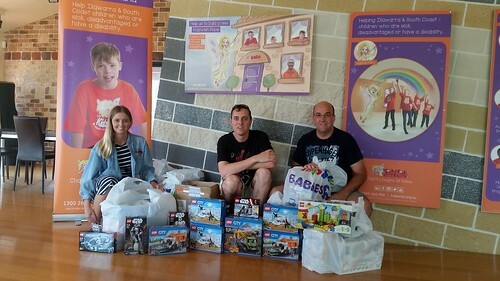 As well, I would like to thank all the LEGO fans who helped us with donations. It was an honor to participate in this movement. I am from Hungary, the country in the heart of Europe, and I would like to inform you about the situation in our home. Hungary is penultimate in the international UNICEF statistics on child welfare. By the light of this fact I think it is obvious to see the happy children face when they received the LEGO presents. It is a plesaure to see that Creations For Charity is participating worldwide, and children in our country are involved too. As you can see on the picture we could spread 90 LEGO sets all around Hungary and Transilvania. I would like to thank Szabolcs Lővei and his team who also helped a lot in gifting young children. The team traveled around the poorer regions in Hungary and the Transilvanian countryside and gave away the LEGO sets to more than 200 children. 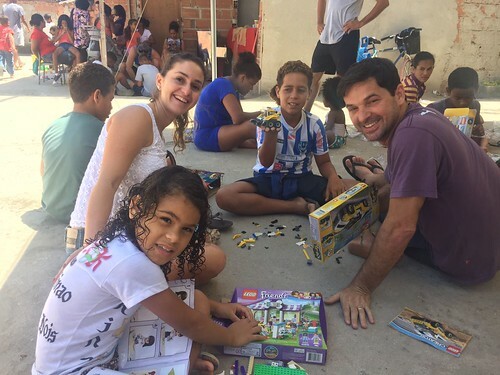 Without Creations For Charity they could not experience the freedom of playing with LEGO. I hope that the intense joy, the children felt here, was the same all around the Globe. Thank you so much again for everyone, and from the depth of my heart I hope that we could make even more children happy next year. Happy holidays and a plenty of fantastic moment for 2017! As we round out another year and head into the holidays season with dusting of snow and descend into the food comas with family and friends – one of the most important things I get to do during this time of year is Creations for Charity. It’s a great honour to be able to help children in need by donating some awesome LEGO sets that you all helped raise money for. For the second year running we choose the Toronto Children’s Aid Society, which which is the our equivalent of Child Protective Services as well as provide support and services to children and their families. Again I wouldn’t be able to make this donation happen with my ever generous Present Elves: Eric L and Nick D – who were able to get 69 LEGO sets at deep discount topping off at just over 2,000 CAD! This year Children Aid’s Society was very eager to have Creations for Charity involved again, as the feedback from the last year was phenomenal and made a substantial impact to their children. 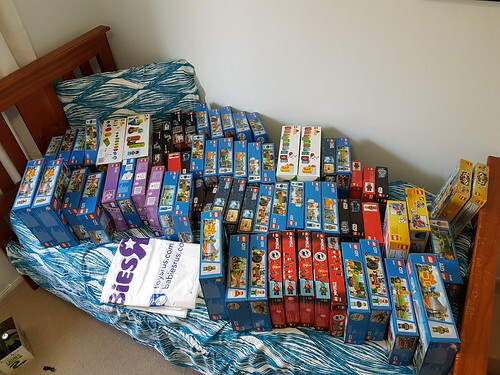 As always, LEGO is the most requested item from parents and is an infrequent donation, so a large LEGO donation is always a huge deal to everyone! I’m also proud to say that again this year our donation exceeded the physical volume of my tiny car, again! And while I apologize for lack of LEGO-loaded Car pictures, I’m very happy to have to request help in transporting all this LEGO! As always, none of this is possible without the generous donations and purchases by the AFOL community, You guys are so awesome, I don’t think you realize how big of a difference you really make to so many people around the world. At C4C, we have always believed that while we were growing up with Lego, it was secretly teaching us math, design, engineering, art, and problem-solving. We started out wanting to share that opportunity with kids who cannot afford Lego in their lives. This year, here in Grand Rapids, my wife and I realized that those same kids don’t care about all that other stuff. Kids have three basic instincts: to build, to play, and to destroy. In essence, while Lego might have all those incredible traits, it is, most importantly, fun. We decided to make our donations this year to the kids at Helen De Vos Children’s Hospital and use the opportunity to share with the kids who don’t get to go home for the holidays. We used our allotment this year to purchase a huge amount of sets while saving an average of 30% off MSRP – an accomplishment in itself. With the help of our new contact person, Amy, we were able to donate them all to the kids, but due to health privacy laws and the risk of infectious diseases, we were not able to hand the sets out directly, but we turned them over to the staff and they took care of that for us. We were thrilled to play a part in helping so many kids gain useful skills while somply having fun, and we look forward to working with HDVCH again in the future. Creations for Charity in Saskatchewan 2016! A HUGE thank you to Nannan and Simon for including our area in Creations for Charity this year! I’ve built and purchased for the charity in the past, but being able to pass along the benefits to kids in the Regina area was truly special! I was fortunate enough to partner with a local independent toy store who gave me the opportunity to purchase sets through their direct ordering system. Thanks to them, I was able to almost double the funds sent and purchase 90 sets! We have a number of organizations in the city who deal with kids all year, most of them having smaller numbers of come-and-go clientele. As such, I tried to take sets to a few different locations to reach as many kids and as many types of kids as I could. The Circle Project Children’s Centre was developed to provide quality, culturally appropriate programming for the North Central community of Regina. Integrated programming for Aboriginal and non-Aboriginal children and children with special needs is provided according to their holistic philosophy focusing on physical, mental, emotional, and spiritual growth and development. They are inclusive, and provide care for 70 children between the ages of 18 months and 12 years. Since 1982, The Rainbow Youth Centre has been working with young people 11 to 25 years old in a variety of individual and group counseling, skill development, educational, recreational, and direct service programs. The organization strives to meet the needs of our youth as they grow, develop, and change. I was able to hand out 40 sets to young teens, most of them choosing the more challenge sets to work with! Many of them dove into the sets right away! All of them were very appreciative of the sets, saying ‘thank you’ over and over again. I strayed out of my home area a bit for the last donation. The Ronald McDonald House in Saskatoon is a short walk away from the Royal University Hospital and Saskatoon Cancer Clinic. The house hosts kids and their families when treatment away from home is needed. Due to the nature of their guests and possible ailments, the house does not have many toys that are sharable from child-to-child. Having something the kids could not only play with at the house, but then take home once they are well is a great benefit. I was able to give the remaining sets to the staff at the house to be handed out during the holidays. They were very grateful for the donation. On behalf of the kids of Saskatchewan, I would like to thank Nannan and the supporters of Creations for Charity (builders, buyers, donors) for this opportunity. You have brightened the season for many kids, and I hope we can do so again in the future. Posted in Uncategorized on 20.12.16 by Josh M.
Thanks again to Nannan and all the hard working people in Creations for Charity to allow me to purchase LEGO sets again for the Kidzwish Foundations Christmas Party. KidzWish is a fantastic local charity in the Wollongong area, south of Sydney that supports a myriad of children. Here is a quick explanation of all the services they provide. “KidzWish Foundation lends a hand to help Illawarra & South Coast children who are sick, disadvantaged or have a disability. In addition to the great work they do year round, KidzWish also hosts a massive Christmas party for children that fit the above criteria. With over 4900 children and carers attending this year, the demand for donations of presents and money is huge! The initial donation from C4C allowed me to purchase 70 sets thanks to the sales and staff at ToysRUs! 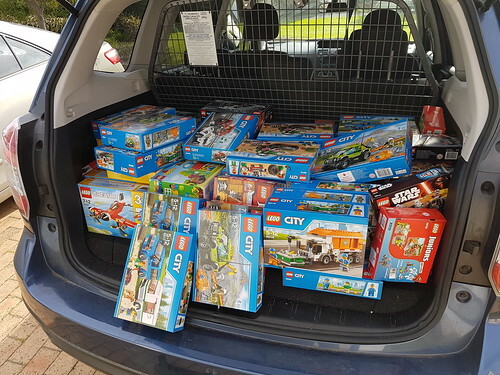 With a bit more lead time this year, I was able to drum up donations of sets and money to purchase more sets from SydLUG members. We managed to get another 25 odd sets. I took along another member of SydLUG, Graham, who was so surprised to see the work Kidzwish do, and the sheer number of children they try to help each year, he decided to put up a Porsche set for raffle, with the proceeds to purchase even more sets to donate to Kidzwish. Following the raffle, Graham was able to purchase an additional 44 sets! Here are a few of the sets we managed to purchase for many age ranges. Any donation is great for Kidzwish in terms of LEGO sets, but it really hits home just how many kids are underprivileged out there. I really appreciate the opportunity to work with Creations for Charity to brighten up Christmas for these kids. Thanks again, and I hope we can help even more kids next year! The 2016 fundraiser is over and we have raised $13,887! A huge thanks to BrickUniverse for donating $4,000, to Brickworld for donating $2,500 and to Bricklink for matching 10% of our sales and donating $581.75. We’d like to thank everyone who participated in making a donation, purchasing from our store or helping out in various ways. Take a look at the items sold this year and come back by Christmas to check out photos of our Lego donations over the world! Happy holidays everyone!